A captivating cove in a hidden corner of Cornwall, Cadgwith has hardly changed in the thirty something years I’ve been visiting my family there. Thatched cottages nestling in the hills that roll down towards the shingle beach, fishing boats pulled up high on the pebbles out of reach of the sea or battling the waves to bring in their daily catch. C is for Cadgwith. 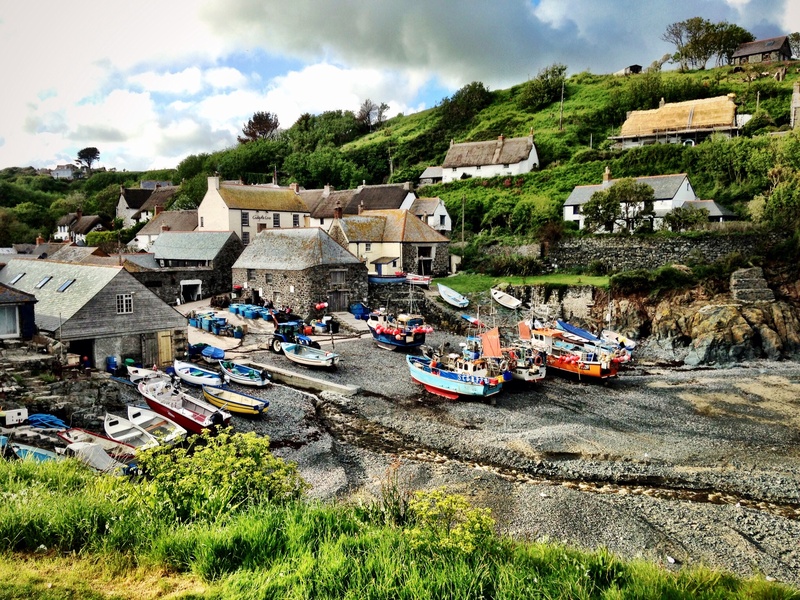 This entry was posted in Sophie is photographing, Sophie is travelling, Uncategorized and tagged Cadgwith, Cornwall, fishing village on May 28, 2014 by sophieblovett. Thank you 🙂 It’s lovely – just so unspoilt! Thank you 🙂 Cornwall does have some pretty stunning spots!